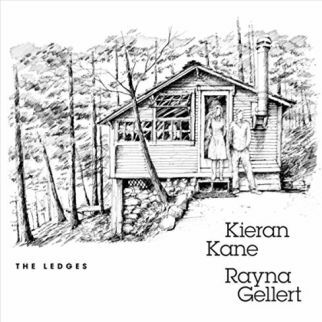 At its heart, the recent release from Kieran Kane and Rayna Gellert, The Ledges, defines Folk music, presenting an audio display of the inclusive nature of the style. The Ledges stages acoustic music as quiet mountain chapel Gospel Folk (“Take Your Burden to the Lord”) and a front porch jam (“Where’s My Baby”), Rayna Gellert and Kieran Kane touching the tunes with Jazz (“Cold Air”), Blues (“Go Forth and Multiply”), and Rock’n’Roll attitude (“I Wanna See Something New”). Warm harmonies transmit the emotion found in the tender love letter in “I Don’t Know Why”). The pair met performing at the 2015 Hardly Strictly Bluegrass Festival, forming a duo and heading to Kieran Kane’s lakeside cabin in upstate New York for record The Ledges. The surroundings matched the intentions of Kieran Kane and Rayna Gellert in building the songs using only bare essentials. Armed with guitar, fiddles, a mandolin, a banjo, a vibe, and five microphones the pair recorded live. 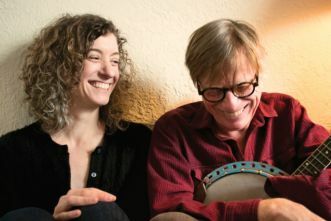 Collecting their songs, Rayna Gellert and Kieran Kane left the rural setting with suitcases packed with tunes that present multiple musical possibilities within their Americana and Folk skin. The Ledges wanders empty rooms seeking the last light of love in “One More Time”, watches the future fade from “15 Acres”, and plucks chords as “Miles” waits for a memory to return while Kieran Kane and Rayna Gellert gather belongings to seek the safety of dry land and higher ground in “Wouldn’t Be the First Time”.